Children and parents face this milestone with mixed emotions. It is such an exciting time, but it can also be filled with questions, concerns, fears, and expectations. Kindergarten is such an important year for your child! Did you know that approximately fifty percent of your child’s day is spent at school? This is why Regina Christian School takes its mandate so seriously. At RCS our goal is that your child’s first taste of formal education is a positive experience that stimulates an intrinsic love of learning and of school, while giving him/her the academic base needed for the years ahead. 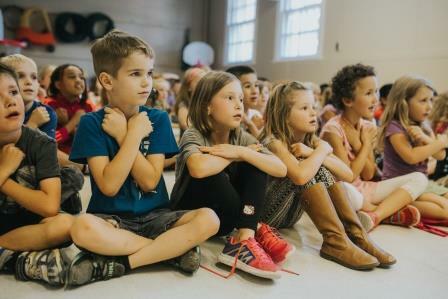 Our Kindergarten program runs full day classes and offers the option to choose from a Monday and Wednesday class with alternating Fridays, or a Tuesday and Thursday class with alternating Fridays. The Friday schedule is outline at the beginning of the school year. Classes are filled on a first come, first served basis; however, we will do our best to accommodate your request. For more information on our Kindergarten Program, click here. 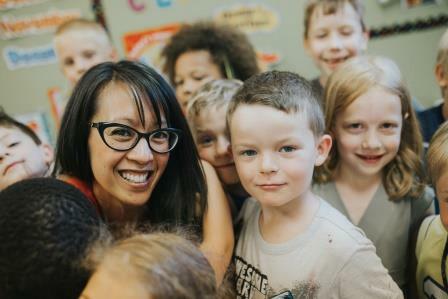 Our desire at Regina Christian School is to offer a high quality program, focusing on excellence in learning, and encouraging a love for Jesus Christ, others, and ourselves so that we may help meet the spiritual, academic, social and emotional needs of each child. Students and teachers daily endeavor to integrate their faith into all areas of life. We seek to be a community where the talents and gifts God has given each person are nurtured and encouraged. Our goal is to work as a community – parents, church and school to raise up individuals for joyful and responsible service to Christ, other Christians and the world. provides Christ centered instruction grounded in Biblical principles . provides godly, caring teachers and support staff. meets the needs of the whole child to build them up spiritually, academically, socially, physically, and emotionally. instills a joy of learning and fosters self-esteem. offers a learning assistance program focusing on the individual needs of each student. Elementary extra-curricular opportunities include various sports teams, musicals, school worship teams, robotics club, choir and special interest clubs. offers an opportunity to participate in community band programs along with other Regina schools. In cooperation with Regina Public Schools, we are blessed to be able to provide Instrumental Band as an optional course offering for students in Grades 6, 7, and 8. Students receive the dedicated instruction of a band teacher at the RCS campus for one period per school day cycle. Additionally, students are bused to another campus once per cycle for area band rehearsal, where they meet with other students of their age from nearby schools. As part of the program, students participate in a number of full band concerts as well as festivals, clinics, and smaller events at RCS. 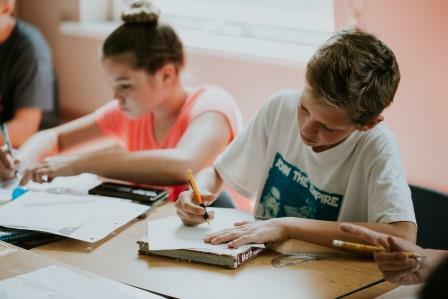 Since this program requires students to be absent from other regularly-scheduled classes, it is an ideal choice for those children who are self-motivated and keen to remain on-track with their peers.